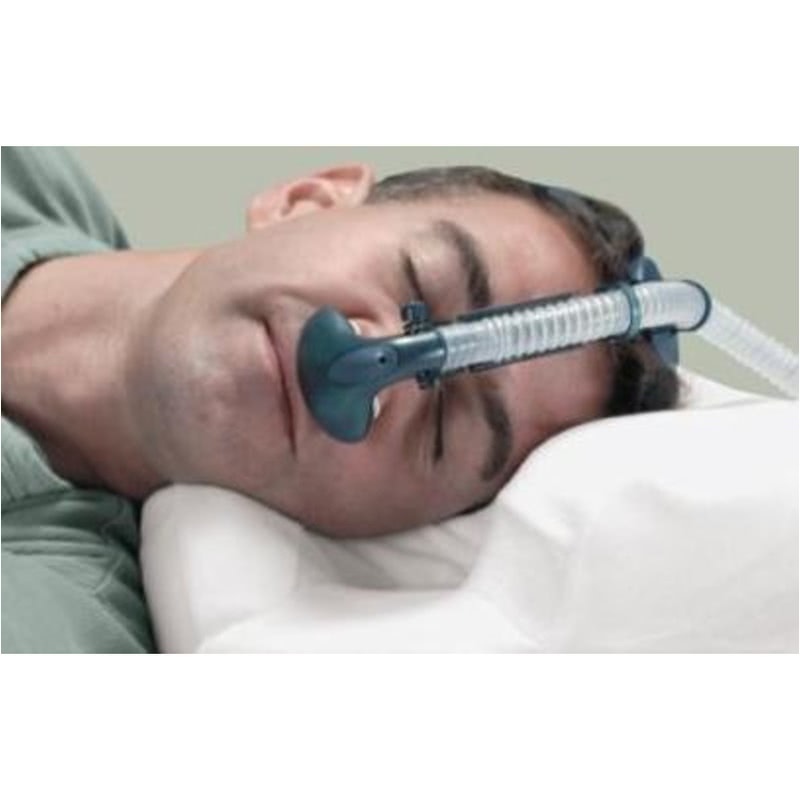 Newer Model Available: Contour CPAP Pillow 2.0 with Pillow Cover.
" 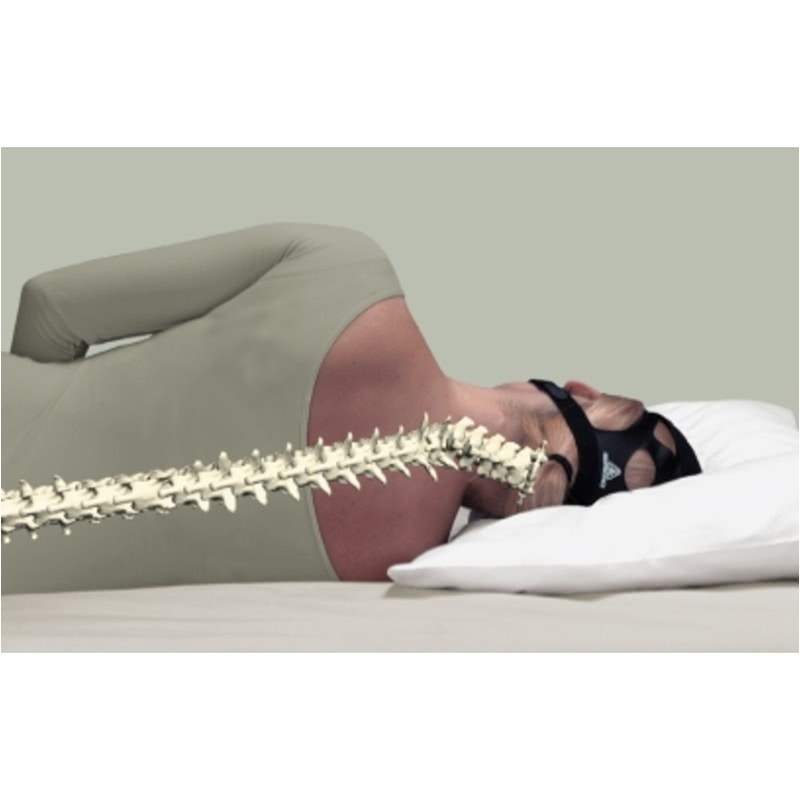 this pillow has been great for me i am a back and side sleeper and so far it does what they say. " " I can sleep on either side now, and no knocking loose my mask. It's wonderful! " 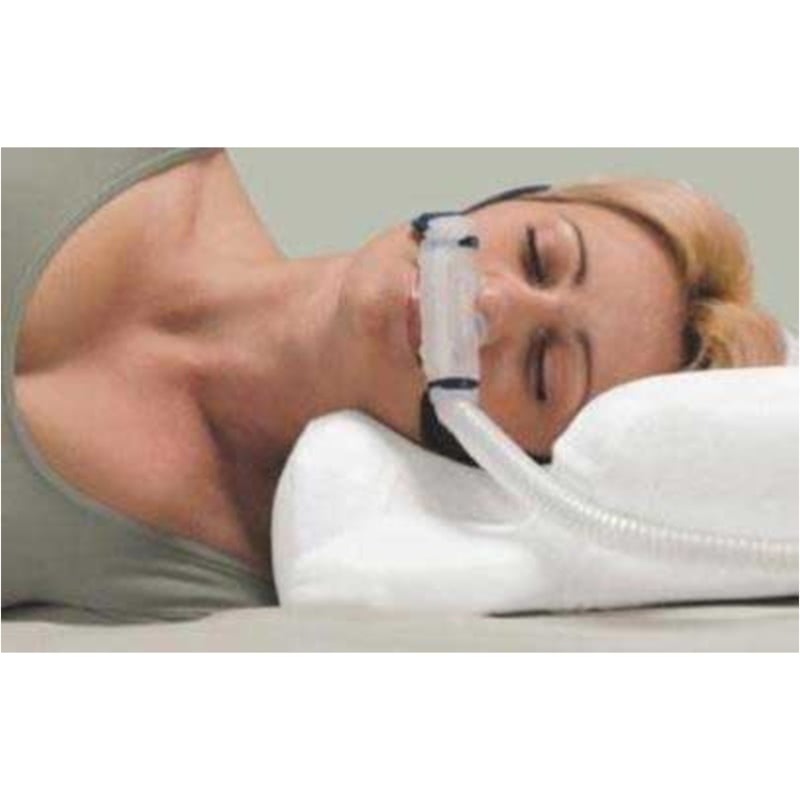 The Contour CPAP Pillow with Pillow Cover has a thick high density foam base. 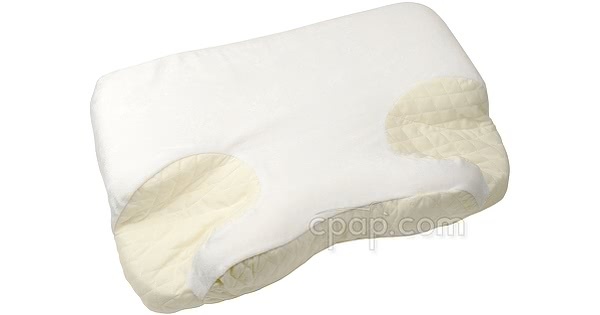 The pillow comes with a quilted, padded cover with dual fabric that follows the pillow's contour. The pillow is backed by a 2 Year Manufacturer Warranty. 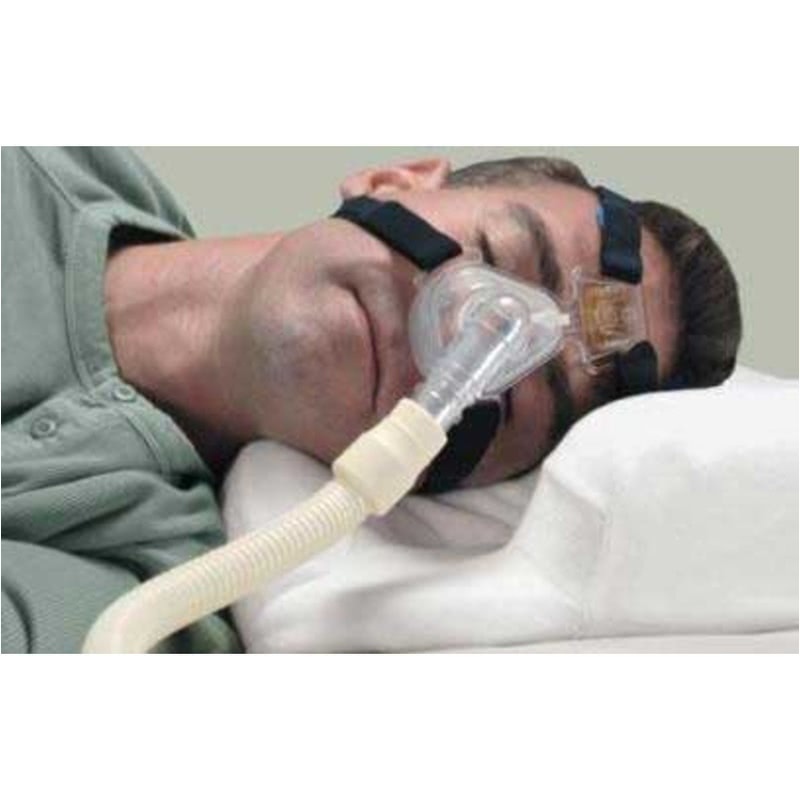 Discomfort is a major factor contributing to non-compliance of CPAP therapy. 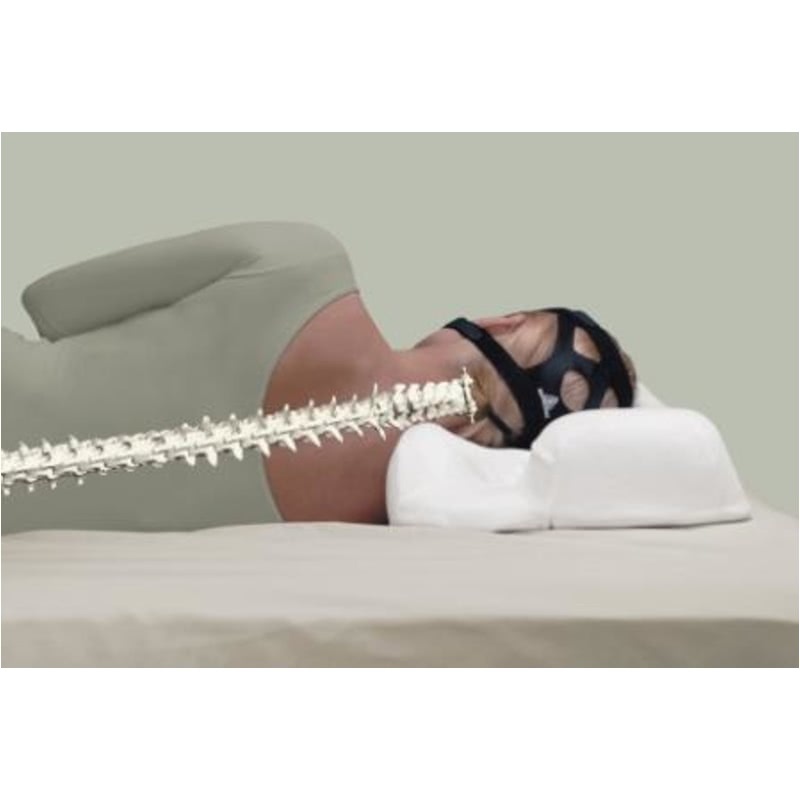 During side sleeping or stomach sleeping, the mask presses and rubs against the patient's face, which leads to discomfort and can also distort the mask, causing leaks and exacerbating the problem of non-compliance. 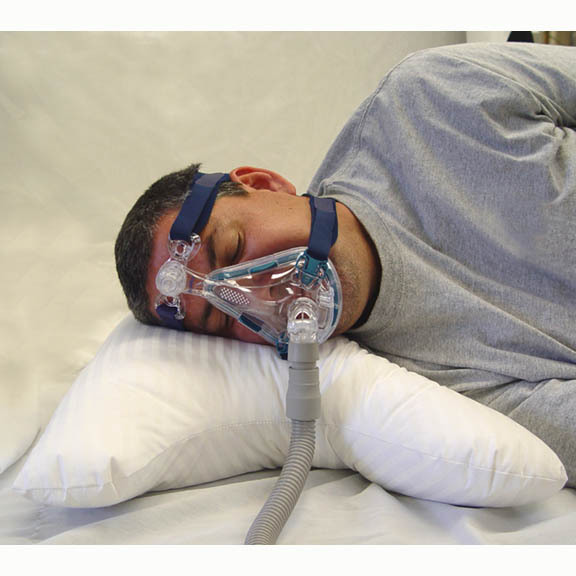 The people at Contour Living have developed a solution: the Contour CPAP Pillow with Pillow Cover. This pillows includes a zippered pillow cover. 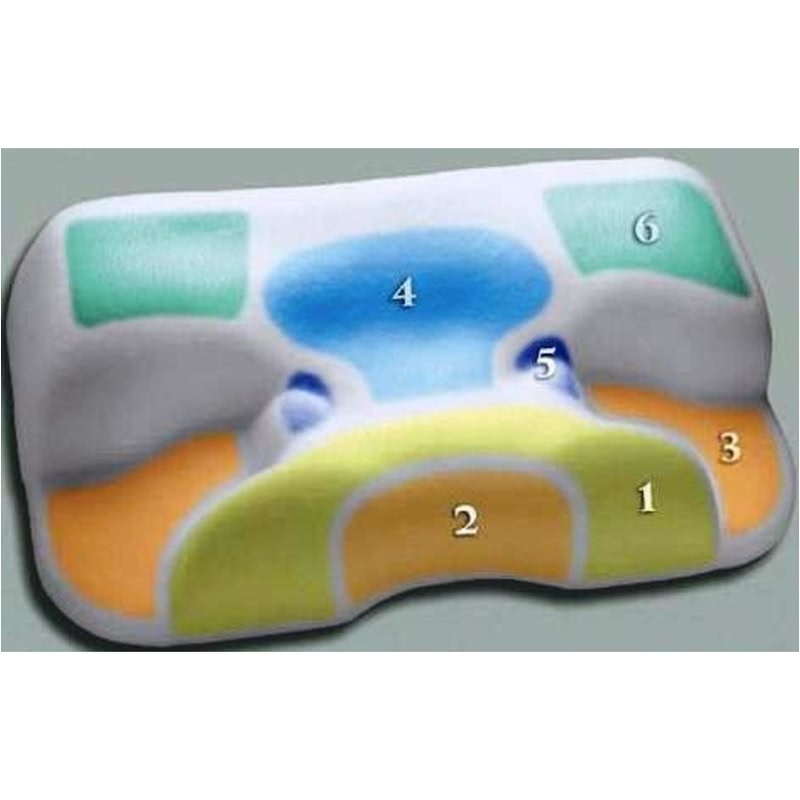 Additional pillow covers can be viewed and purchased here: Pillow Cover for Contour CPAP Pillow. Pillow Care: Spot clean only using water only. Air dry only. Pillow Cover Care: Machine wash, cold water only, use only non-chlorine bleach when needed. Line dry only. Do not iron. 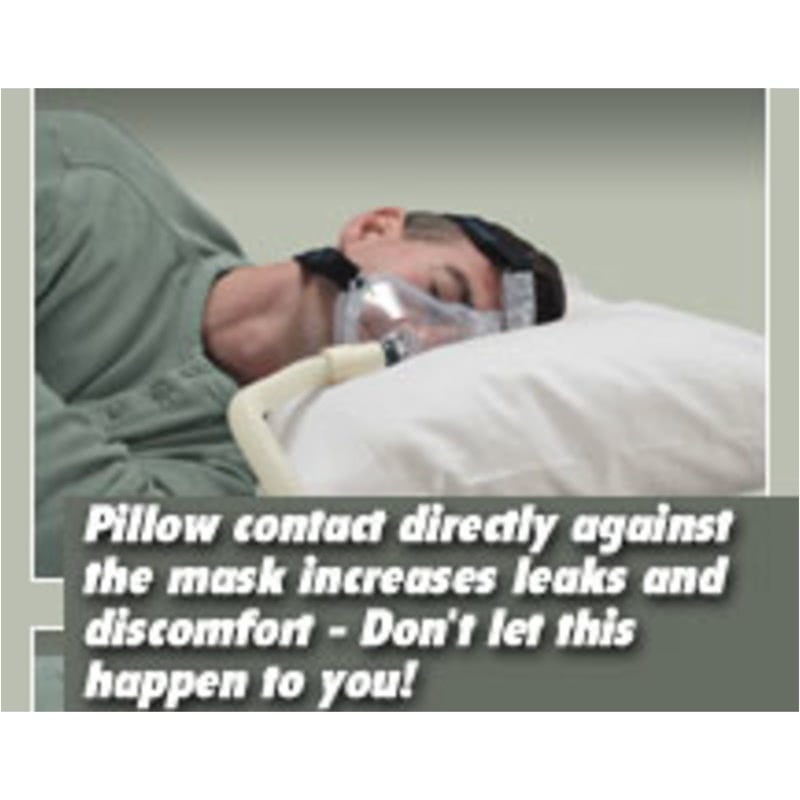 The Contour CPAP Pillow with Pillow Cover was formerly named Multi-Mask Sleep Aid CPAP Pillow with Pillow Cover. The product itself has not changed. 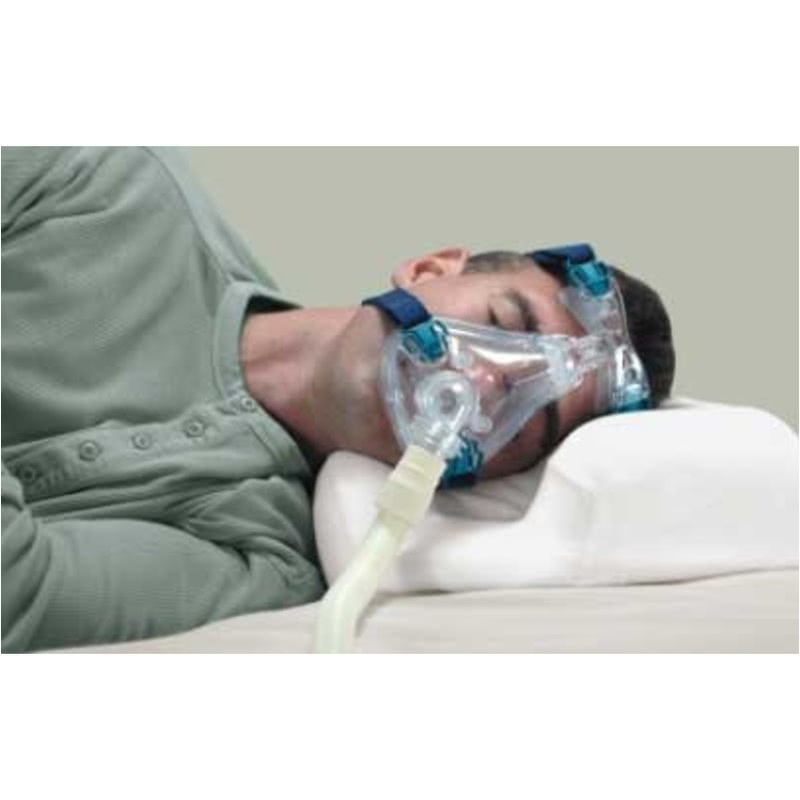 As of January 1st, 2009, the CPAP Multi-Mask Pillow began shipping labeled "New and Improved! Contour". It added a thicker high density foam base, which provides greater support and a more cushioned feel. 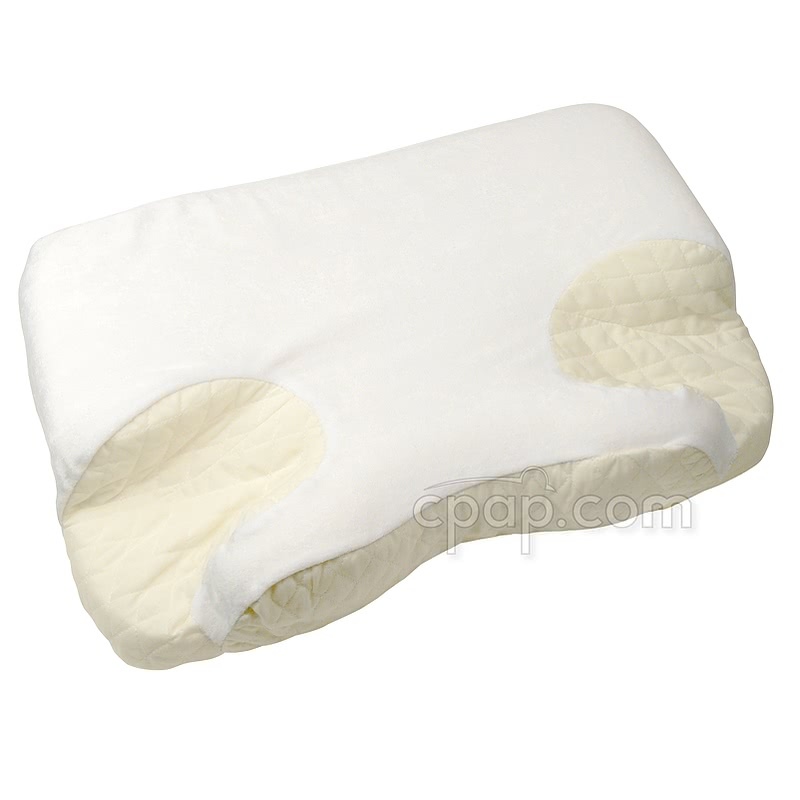 The pillow comes with a quilted, padded cover with dual fabric that follows the pillow's contour. The pillow is backed by a 2 Year Manufacturer Warranty. The pillow cover is made of 100% polyester. 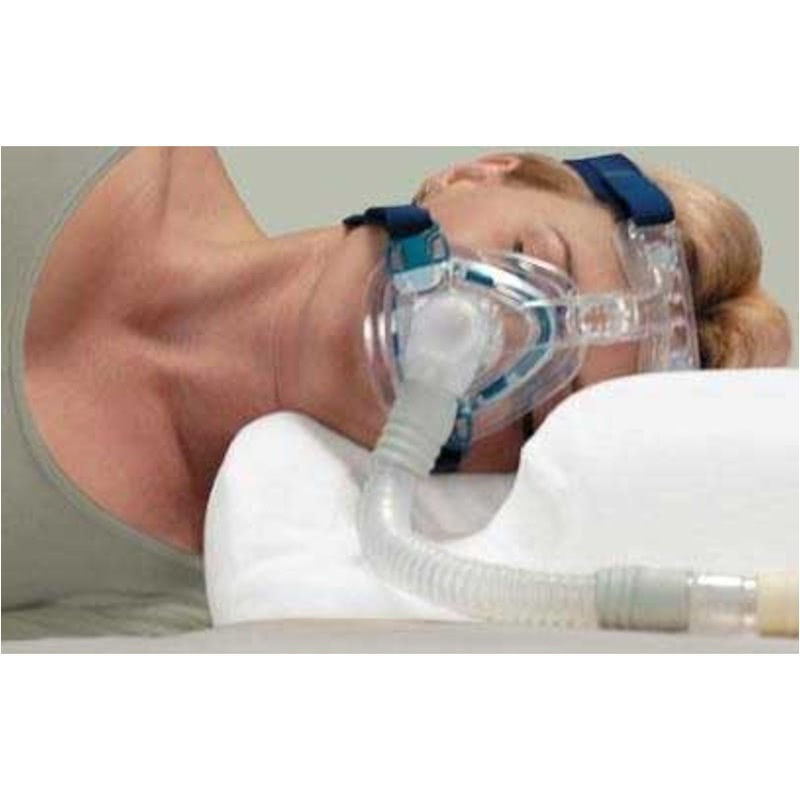 CPAP.com carries the Standard Size pillow that is ideal for users who weigh 126 lbs. to 200 lbs. The pillow is approximately 4 Inches thick.